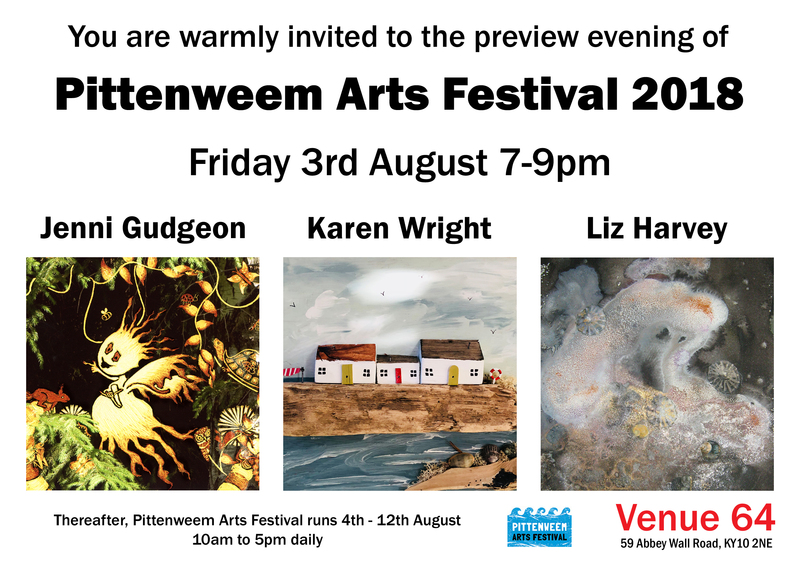 The Pittenweem Arts Festival starts next week and I’m taking part again! In 2005 I was an invited artist at the festival and had a ball. I was barely calling myself an artist at the time, and having actual professionals take me seriously as an artist was a major confidence boost. Although I loved the whole experience, my youngest child was only 4. There was no way I could justify spending every summer, for years to come, ignoring my kids in order to prepare for the event. Every year there’s a preview evening on the Friday night before the festival officially opens on Saturday. I’d be delighted if you could join me on Friday 3rd August to see my show. You can visit any of the other venues as well during the evening, with wine and nibbles served everywhere. I’ve been along a few times and have always enjoyed its lovely atmosphere. If you’re busy that night, the festival is on for another nine days and is well worth a visit. You’ll see some wonderful art, but you’ll also get to nose around people’s houses and have an excuse to explore all the wee pathways in this beautiful place. 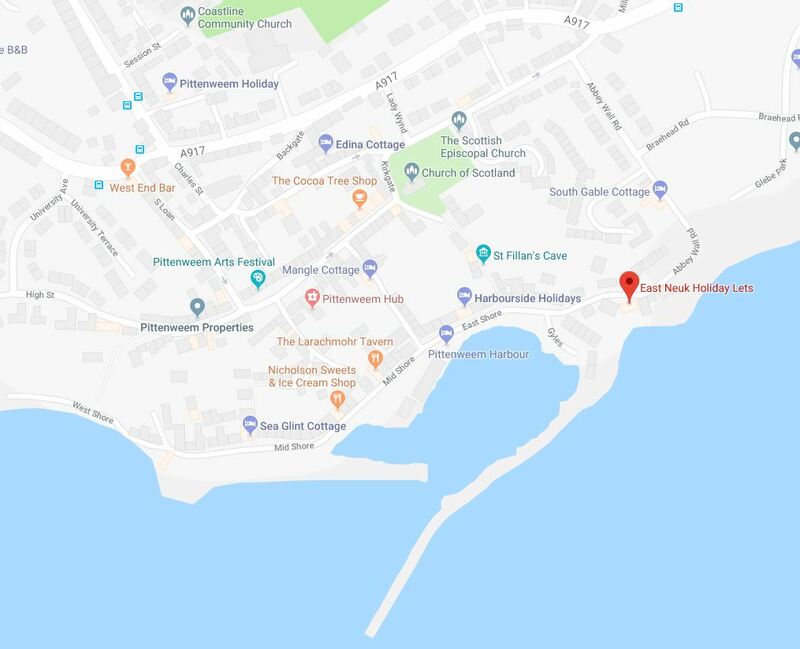 There’s plenty of parking at the top end of town, and a free bus service down to the harbour for those who’ll struggle with the distance or just fancy a lift. 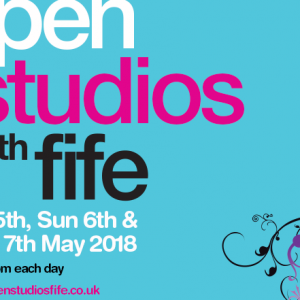 A few days after Open Studios, at the beginning of May, my life became very stressful. 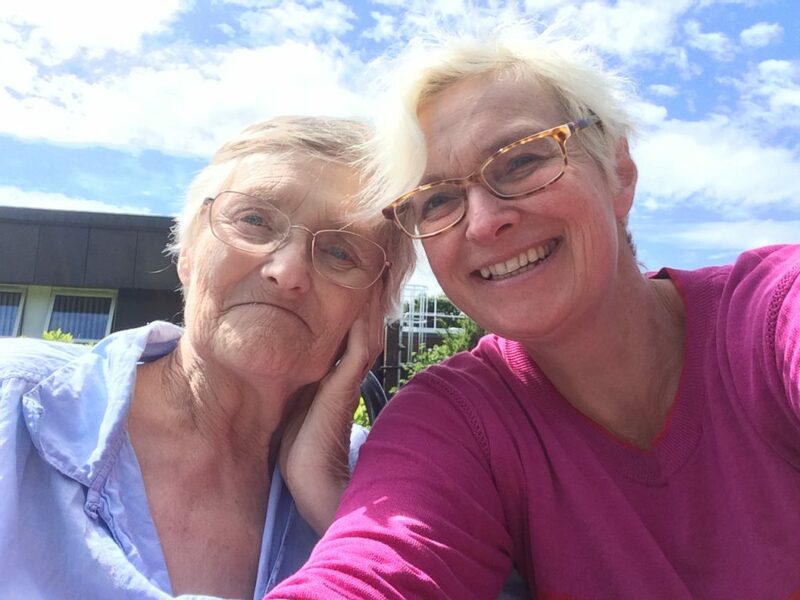 My mum’s pneumonia returned with a vengence, and we thought for a while we’d have to say our final goodbyes. However, she somehow found the will to overcome her infection and here’s a photo I took on the day I wheeled Mum outside for the first time in six weeks. Mum finally left hospital at the beginning of July and is now settled into a nursing home nearby. She isn’t in any pain, and is generally quite happy, but her mental state has deteriorated considerably. Mum barely eats, doesn’t talk much and lives very much in the moment, but we still get glimpses of our real mum in her gestures and her humour. 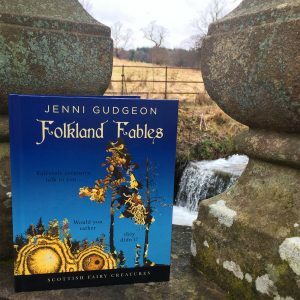 As you can imagine, I haven’t had the energy to promote Folkland Fables as much as I would have liked. Even so, I’ve sold over 200 books which I’m immensely proud of. Thank you to everyone who’s bought a copy, I really truly appreciate it. If you’ve bought my book, I wonder if you’d also be able to help me again. Reviews help authors enormously because they give us more visibility online. 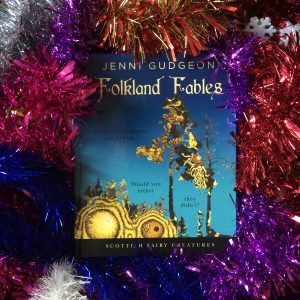 Would you consider leaving a review for Folkland Fables? This can be done either on Amazon, my Facebook page, or both! It doesn’t have to be much, just a couple of words would be fantastic. 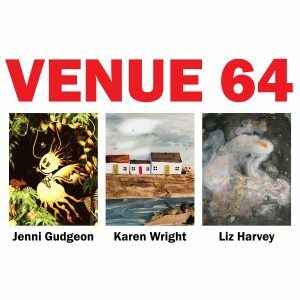 After Pittenweem I plan to start an advertising campaign for my book on Amazon, along with taking a big gulp and buying 1000 copies to sell myself. This will bring down my cost per book so I’ll be able to sell it cheaper, and place it in more shops. 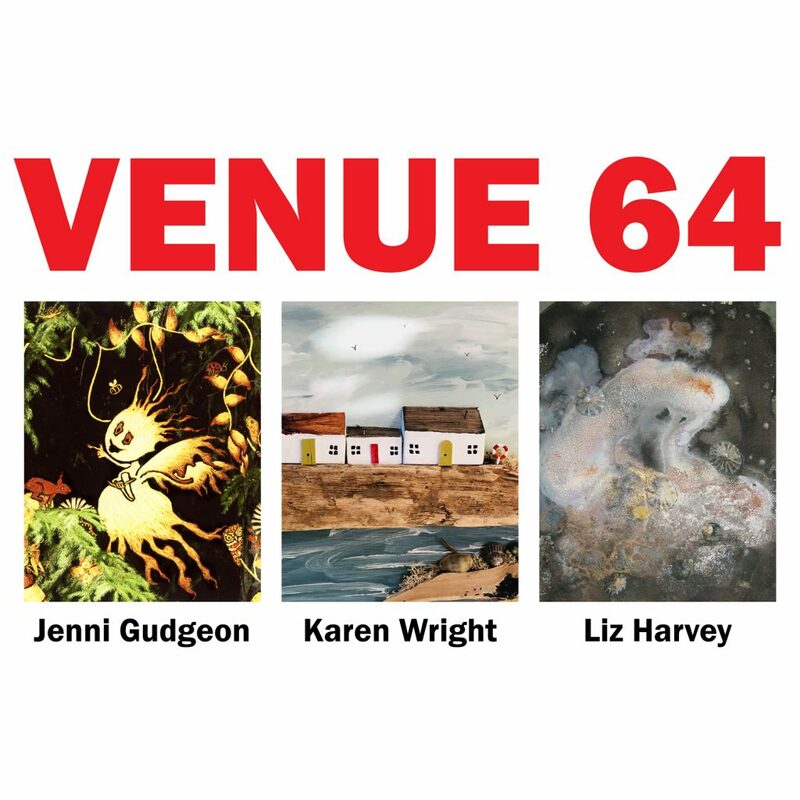 As always, thank you so much for your support, and I hope to see you at Pittenweem.